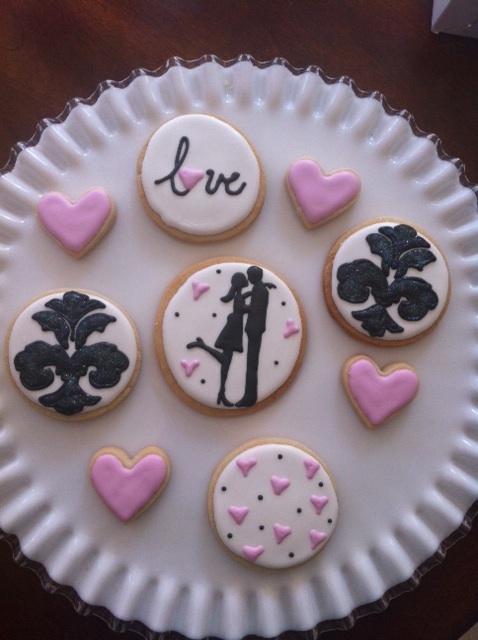 One of my repeat and favorite clients asked me to make some cookies and a small cake for a bridal shower she was throwing. The moment I saw the invitation I got so excited about this order! The invite had a black and white damask backgrond and the silhouette of a couple with pink accents. 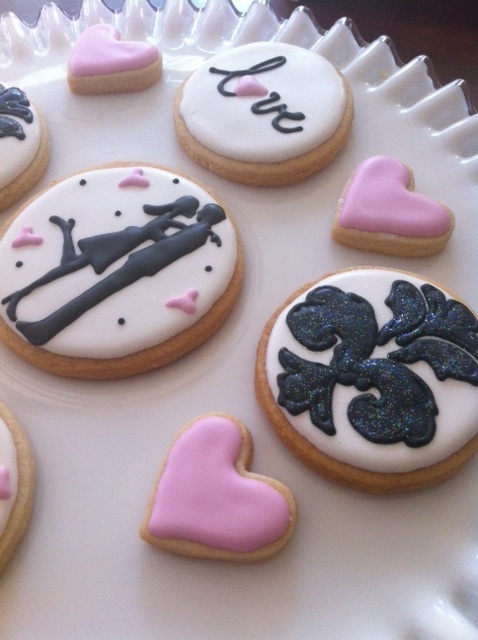 I love doing cookies with silhouettes so I couldn't wait to do these and I also knew I wanted to incorporate the dask somehow. This is how they turned out.